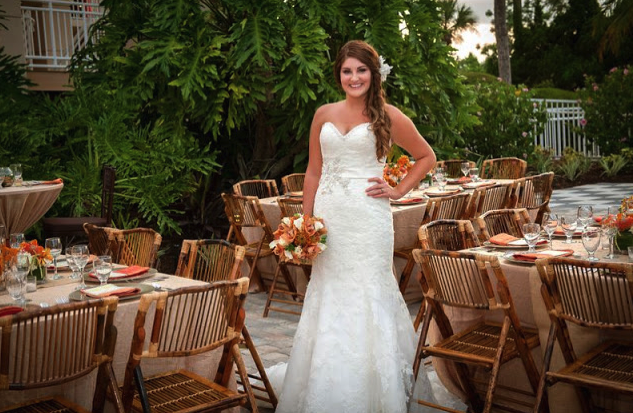 International Palms Resort: Autumn Wedding Photo Shoot - A Chair Affair, Inc. 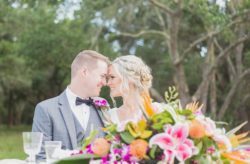 Check out this bridal photo shoot! 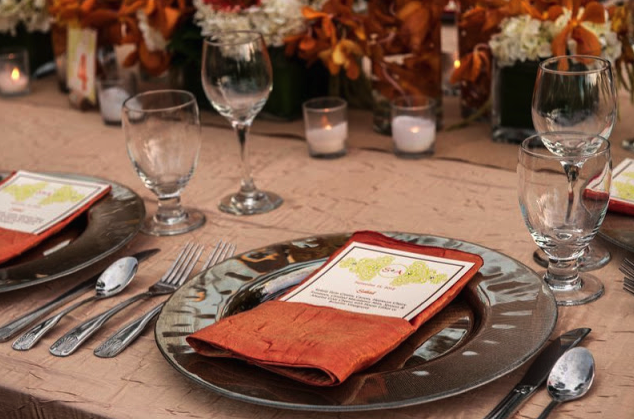 International Palms Resort provided a perfect location for this fall-themed photo shoot we assisted on. 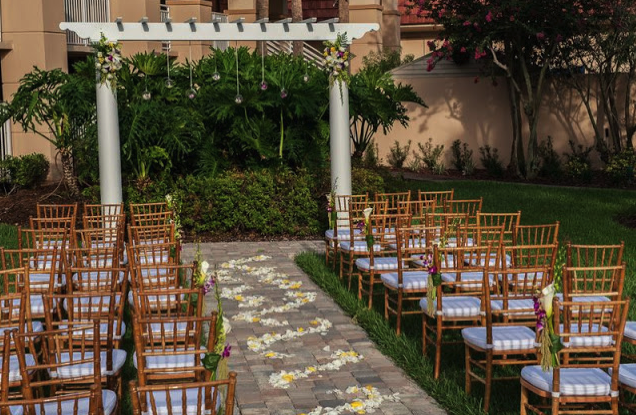 The ceremony aisle was transformed into a path of petals provided by Flowers by Lesley. 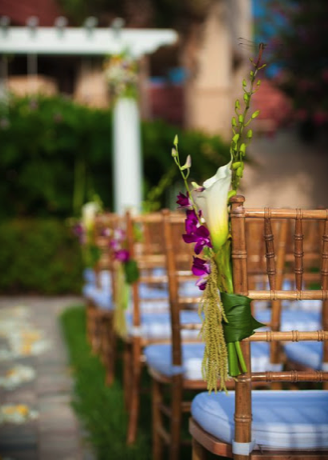 They also supplied the amazing calla lilys on our natural wood chiavari chairs that brought the overall look together. The talented staff at Anna Christine Events arranged all these amazing choices. 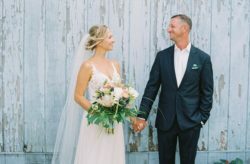 The model bride looked stunning in the Allure Gown from Minerva Bridal with a full beauty treatment by Mairgold Scott on Location Hair and Make Up’s . 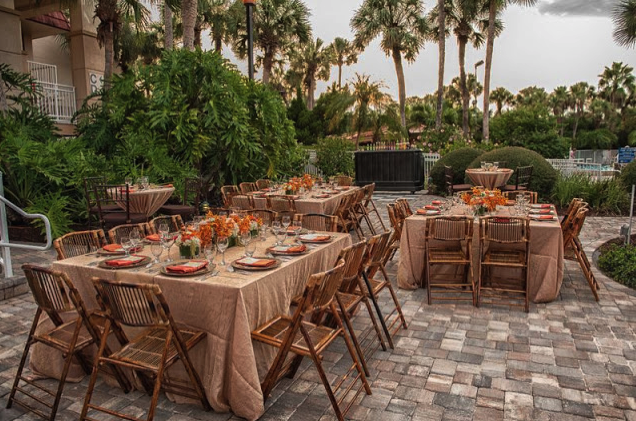 Our bamboo chairs matched perfectly with Kirby Rentals‘ soft brown linens. Shinner Photography took some amazing shots of our grey chargers. 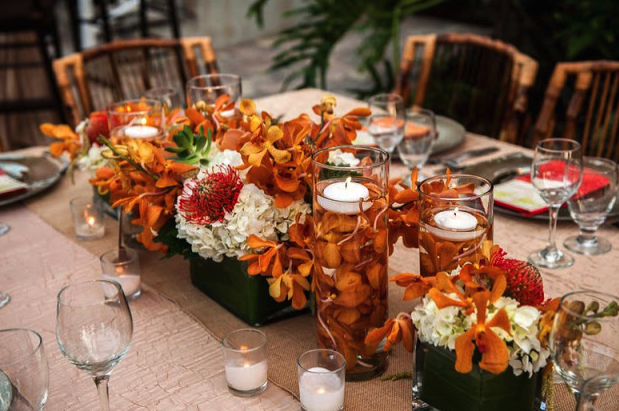 Flowers by Lesley‘s flower and floating candle centerpiece were amazing additions to the tablescape.